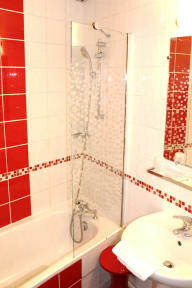 The Hotel Kyriad Italie Gobelins, with 58 guest rooms, has been run by a family of professionals for several years and has many faithful customers including business guests and trainees as well as holidaymakers and coach tours, who all appreciate the warm, friendly welcome they receive. 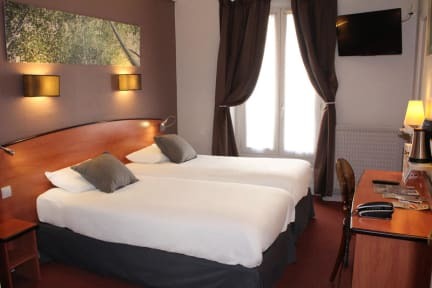 The hotel stands in quiet, attractive surroundings, very close from the Sorbonne, the Latin Quarter and Montparnasse, and next to Place d'Italie, the large Printemps department stores, cinemas and many restaurants. Right outside the hotel are several Metro lines and buses.